Tip #1: Start with a store-bought mix! Krusteaz cookie mix has a wide variety of delicious cookie mixes that are perfect for holidays. Just because you use a pre-made mix, doesn't mean you can't make your cookies your own. Toss in some extra ingredients such as nuts or cranberries, use festive cookie cutters or add extra detail to your decorating to give them your own personal touch. Pre-made cookie mix saves a lot of time and allows you to quickly make a few different kinds to add a little variety to the swap! 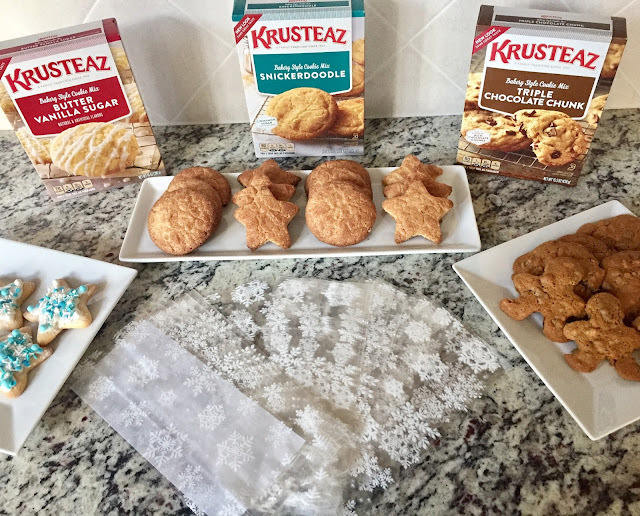 Krusteaz Sugar Cookie Mix - We prefer the Krusteaz mix to scratch sugar cookies because the dough is so easy to work with. Krusteaz Snickerdoodle Cookie Mix - We used a cookie cutter after these cookies came out of the oven to put a modern twist on gingerbread man cookies! Krusteaz Chocolate Chunk Cookie Mix - We added walnuts to this mix-such a decadent cookie! 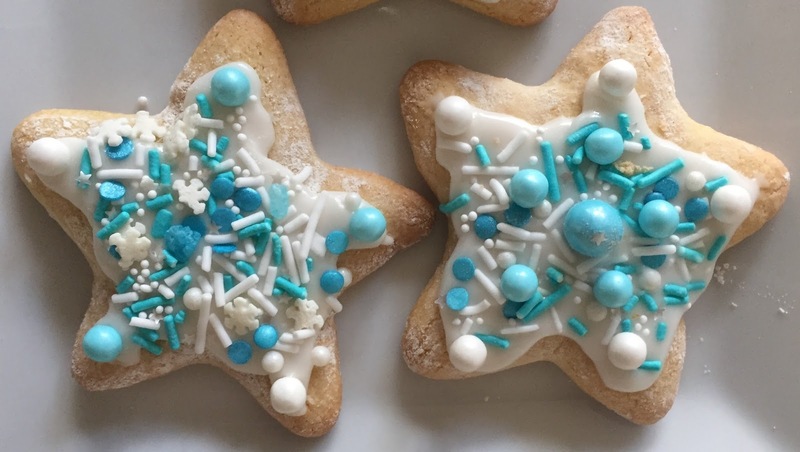 Tip #2: Cookie cutters and sprinkles upgrade even the most basic of cookies! We're firm believers that holiday cookies should be festive. With that said, simple cookie cutter shapes are an easy way to transform the usual cookie into a seasonal treat. We baked our snickerdoodles first, then used cookie cutters just after taking them out of the oven. This way you'll get the shape you're looking for, rather than trying to shape them beforehand. Tip #3: Provide your guests with festive packaging. 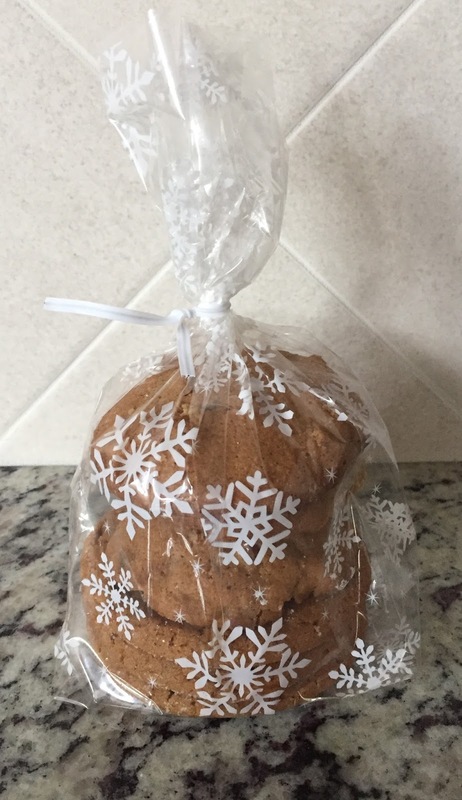 Since our cookie swaps usually involve way too many cookies for one family to enjoy alone, we like to provide cookie bags with wax or parchment paper dividers. This allows guests to create read-made holiday gift bags to share with friends, family or coworkers. Struggling to figure out what kind of cookies to make this year? Sometimes figuring out which recipe to make is the hardest part of the cookie swap! Let Krusteaz help you decide. Explore the Krusteaz Holiday Helper, a fun quiz that will help you find the perfect recipe. Check out the Store Locator tool on the Krusteaz page or order online for delivery right to your door. Disclaimer: The products in this post were provided by Krusteaz. As always, our posts are our own, honest opinions.